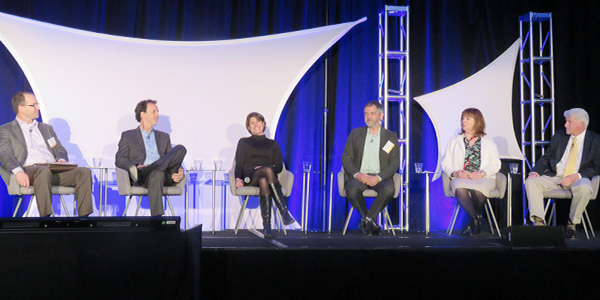 Coming advances in electricity generation and distribution — such as mass storage, distributed renewables and computer algorithms that can monitor a vastly complicated grid — will make older modes seem like the horse and buggy at the dawn of the automobile era, Glick said. Back then, those invested in buggies would try to dissuade people from buying automobiles, he said. “Every time a car would drive by someone would yell, ‘Get a horse,’” Glick told the audience at the Grand Hyatt San Francisco, near Union Square. “We’re kind of in that situation now” with fossil fuels and renewables, he said. 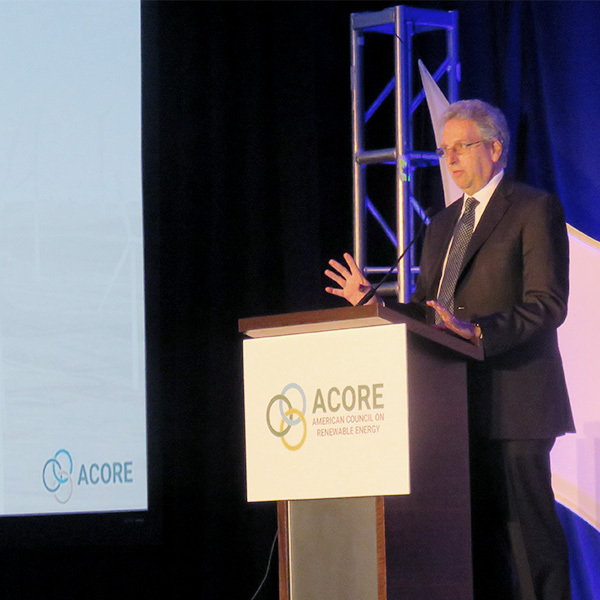 Another keynote speaker, CAISO CEO Steve Berberich, said the traditional model of centralized generation using fossil fuels is already “fraying around the edges” as the price of solar and wind power continues to plummet. The cost of storage is also falling, he said, and every state except Idaho has a renewable energy goal. 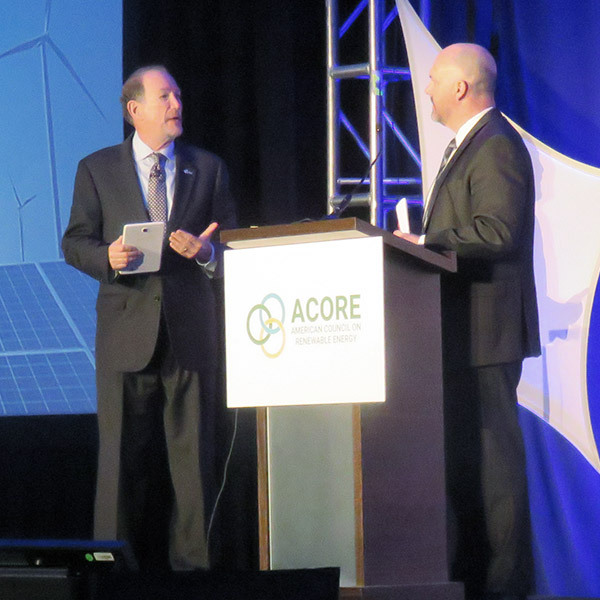 “Even conservative states such as Utah are pursuing [renewable energy],” Berberich noted. 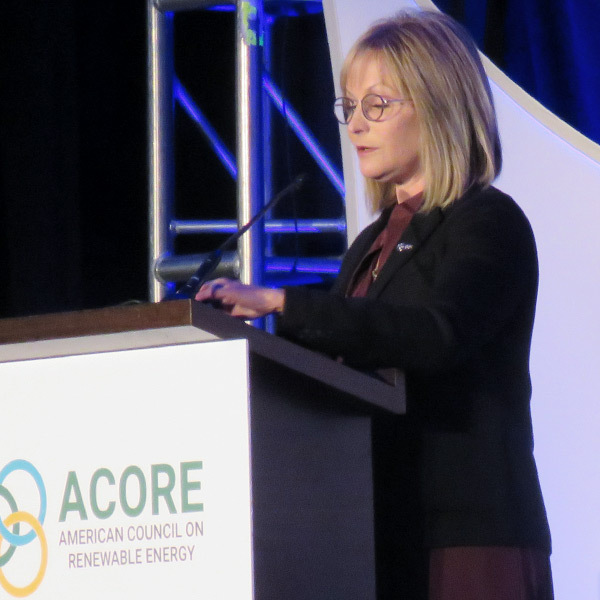 The third keynote speaker, Laura Nelson, energy adviser to the Utah governor’s office, told the audience that the price of renewables has dropped 50% in the last five years, and Utah has increased its reliance from 1% to 8%, with big investments in utility-scale solar and geothermal power. 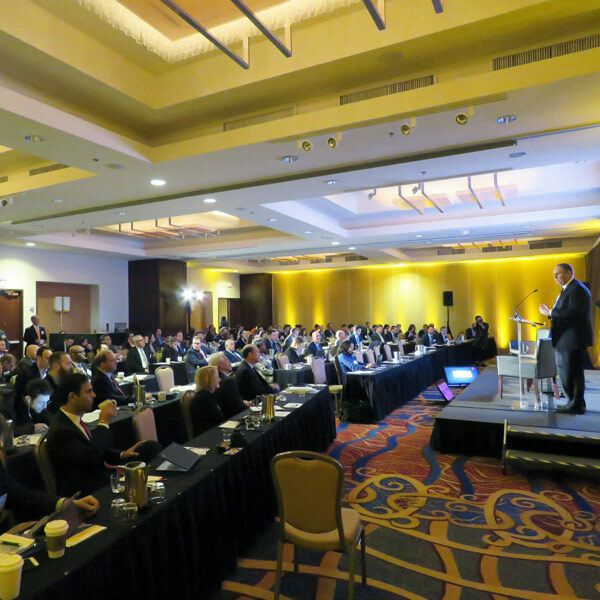 In a panel titled “Evolving Models for Electricity Markets,” Ralph Cavanagh, senior attorney with the Natural Resources Defense Council, said the biggest impediment to renewable integration is the fragmented Western grid. 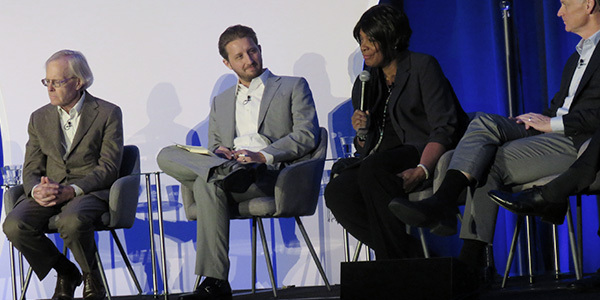 Addressing the recent election, Rose McKinney-James, managing partner of Nevada-based Energy Works, said state voters had rejected Question 3, a ballot proposal to allow customers to choose their energy providers, largely because they were concerned about rates going up. (See related story, High Failure Rate for Western Ballot Measures.) Nevada’s electricity rates are 45% less than California’s, she said. Another big factor, she said, was that NV Energy, the state’s monopoly electric provider, had announced plans before the election to develop 1,300 MW of solar generation. But that would only happen if the company remained a monopoly, she said. Pat Reiten, senior vice president of government relations for Berkshire Hathaway Energy, also was on the panel. NV Energy is a subsidiary of Berkshire Hathaway, billionaire Warren Buffett’s company. Reiten said the falling cost of solar had persuaded the company to invest in it. NV Energy once uselessly bid solar into California’s market at $100/MWh, far more than fossil fuels, he said, but the price now is $20 or $30/MWh and competitive with other energy sources. “That’s rather remarkable,” Reiten said. On the stage at the Grand Hyatt near Union Square, McKinney-James turned to Reiten and said she and many others expect NV Energy to keep its commitments. “We do have expectations, and there will be feet held to the fire,” she said, eliciting laughs from the audience. After lunch, conference attendees were invited to submit questions via an app to panelists Angelina Galiteva, a member of CAISO’s Board of Governors and founder and chairwoman of the Renewables 100 Policy Institute, and Dan Reicher, executive director of Stanford University’s Steyer-Taylor Center for Energy Policy and Finance. Intermittency, both speakers said, but they argued it isn’t as big a problem as many critics have contended. Galiteva said she grew up in Tanzania, where local solar proved far more reliable than the spotty power supplied by a central generating station. “That’s where I fell in love with renewables,” she said. Many criticize renewables such as wind and solar as being intermittent and unreliable, but Galiteva said she believes “renewables are more reliable than centralized power,” especially as renewable power sources proliferate. The fact that renewable energy sources are distributed provides an inherent safety backup compared with centralized power, Galiteva said. “Look at the San Onofre power plant,” she said. The San Onofre Nuclear Generating Station, on the Southern California coast, shut down suddenly in 2012 after problems arose, and the grid lost the plant’s 2,350 MW. Reicher said intermittency was generally considered the main problem with renewables, but not all renewables are intermittent, he said. Hydropower, geothermal and biomass are regular, dependable sources, he said. Storage, including pumped hydro, will make solar and wind more readily available during peak demand times, he said. Floating wind farms off the coast of California, if ever approved by federal authorities, would be a reliable source of wind power. California’s coast has some of the most regular winds in the nation, and those winds pick up just as the state’s solar energy tapers off for the day, Reicher said.